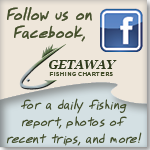 Getaway Fishing Charters and Guide Service is a father and son fishing team. Captain Dan and Captain Isaac are both Licensed Captains by the United States Coast Guard with over 35 years of combined Great Lakes fishing experience. Both Captain Dan and Captain Isaac love to fish and enjoy sharing their passion for fishing with their clients. Getaway Fishing Charters and Guide Service is here to provide its clients with an unforgettable fishing experience! Captain Dan grew up fishing on Lake Michigan with his father. These experiences led him to become a charter captain. 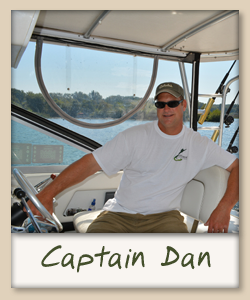 A local business owner, Captain Dan enjoys meeting new people and sharing his love of fishing in the White Lake Area. Happily married for over 20 years he has three great children. His son Isaac shares his passion for fishing and is also a charter captain. 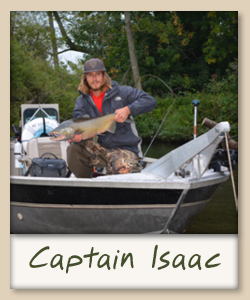 Captain Isaac grew up fishing in West Michigan with his father and grandfather. He became a charter captain before he graduated from high school. He spends countless hours on the water in pursuit of salmon and steelhead in West Michigan. Isaac is a Muskegon Community College graduate and currently attends Ferris State University.